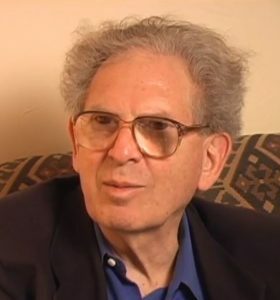 Russell Targ is a physicist and author who was a pioneer in the in the earliest development of the laser, and cofounder of the Stanford Research Institute’s investigation into psychic abilities in the 1970s and 1980s. He is also an editor, publisher, songwriter, producer, a teacher, and more. Targ retired from Lockheed Martin as a senior staff scientist, where he developed laser technology for peaceful applications. 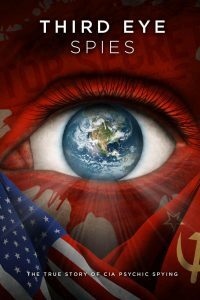 Russell Targ will be showing Third Eye Spies, a U.S. feature film documentary about him and his his cold war psychic spies and his fight to bring the top secret spy program public. After an experiment in psychic abilities at Stanford Research Institute accidentally reveals classified intel at a top secret NSA site, the two physicists behind it all are co-opted by the CIA and the amazing work of their psychic spies is silenced by the demands of ‘national security’. When America’s greatest psychic spy dies mysteriously and is accused of treason, it spurs program co-founder Russell Targ to fight to get their work declassified even if it means going directly to his former enemies in the Soviet Union, to Wall Street and beyond to prove the reality of ESP. The true story of physicist Russell Targ, his cold war psychic spies and his fight to bring this information public, with evidence presented by a Nobel Laureate, an Apollo Astronaut, and many formerly undercover military “remote viewers” and scientists that worked extensively for the U.S. Intelligence community, now able to speak for the first time in this film.